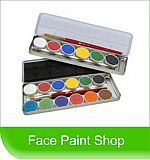 I'm a face paint artist based in Salt Lake City, UT. 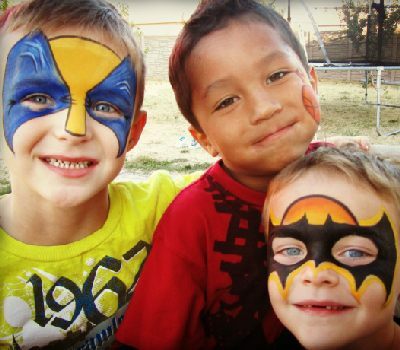 Face painting is perfect for any event . . . sports game, Halloween party, block party or your child's birthday. 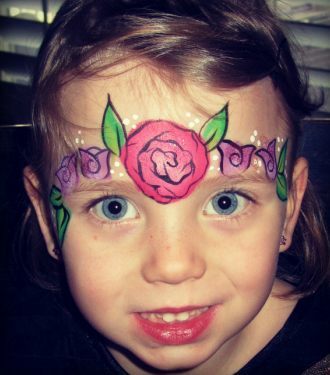 My name is Lizz Daley and I began face painting in 2009 as a way to make some extra money and quickly realized how much I loved it. I'm fortunate enough to have a supportive husband, who is willing to watch our kids while I paint most weekends. I work full time at Marriott Vacations Worldwide during the week as a Recognition Team Leader, and paint faces whenever I can. 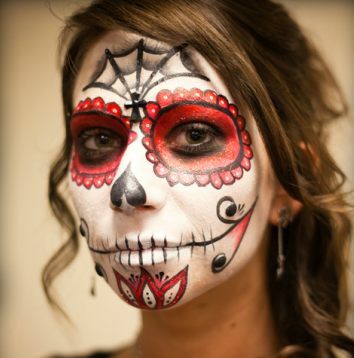 I love to read and currently write a Book Club newsletter at my work and a Face Painting newsletter for the Utah/Idaho Face Painters Association. I'm always practising and enhancing my skills and designs. I've developed some great relationships with fellow face painters and taken some professional face painting classes from Pashur House and Dutch Bihary. I love the "awesome" and "cool" responses when kids see their painted face in the mirror. That's my favorite part of face painting. I strive to make each face paint a memorable and fun experience.